This week I become official! 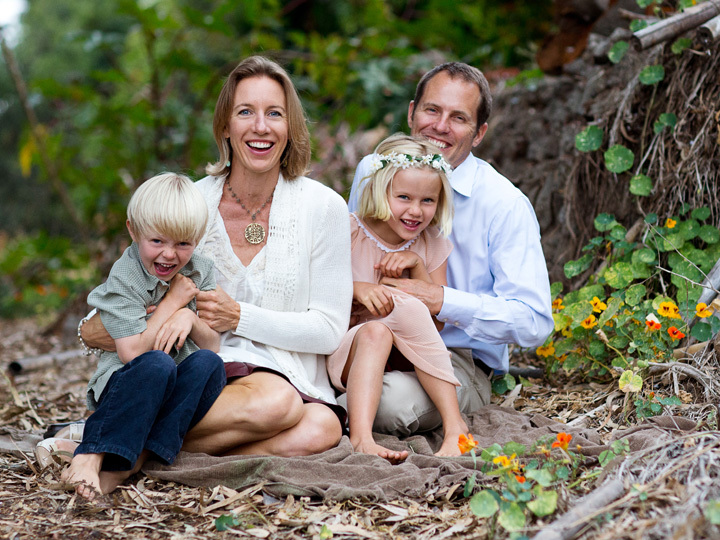 Thank you again for voting for me, supporting me and believing in the vision of Encinitas that we share. It’s a privilege to be chosen by you to make big decisions that affect so many. I take your confidence and trust very seriously. This week two local newspapers did really nice feature stories on me. The San Diego U-T‘s piece is here, and The Coast News article is here. The Blakespear family was honored to be in the Encinitas Holiday Parade last weekend, riding on a wave-runner, along with my mom, aunt, and step-mom (all of us pictured at right). 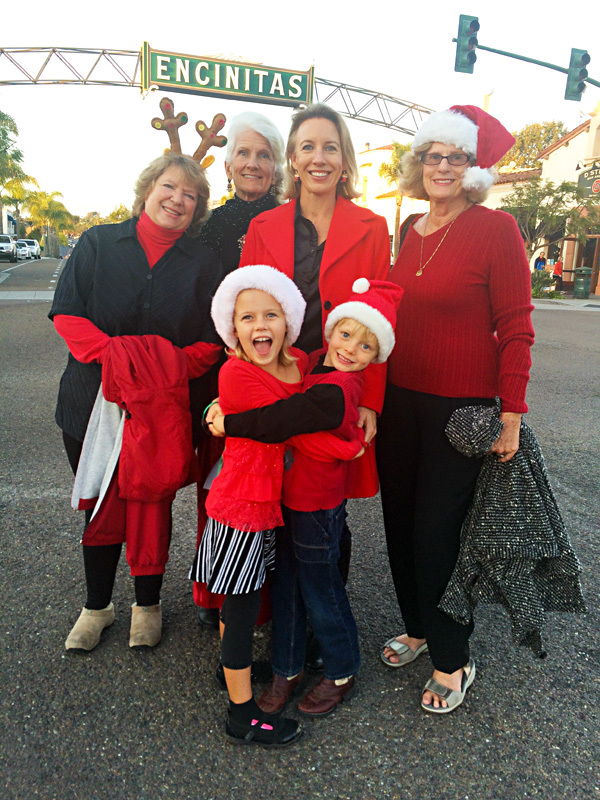 On Tuesday, December 9, at 6 p.m. at City Hall (505 S. Vulcan Ave., Encinitas), Teresa Barth will say goodbye to the City Council after eight years of dedicated service. She did not run for re-election, so I essentially filled her vacated seat. Afterward, the City Clerk will swear in the newly elected Mayor, Kristin Gaspar, and the new Councilwoman (me). All are welcome for this festive occasion. Refreshments and cake will be provided at a reception following the meeting. Tributes honoring Teresa, the swearing-in and the selection of a Deputy Mayor are the only items on the agenda for the evening. The following night, this Wednesday at 6 p.m., I’ll sit for my first City Council meeting. I admit feeling nervous and eager to do a good job. This weekend I spent a long time reading the agenda report and all the supporting materials, and among other things, correcting small errors in parts of the city code that are coming before us for an update. Having been a newspaper copy editor, I’m bothered by formatting, grammatical and punctuation errors and figured now was a good time to thoroughly review one section of the code. Whether to approve a permit for a small animal hospital to keep unsupervised animals with medical needs overnight. Background: Coast Animal Hospital in Leucadia, which opened there in 2011, wants to be able to keep sick or injured animals overnight unattended. The owner states in the submitted material that the first choice for a sick or injured animal is for the animal to be transferred to a 24-hour care facility with overnight monitoring, but at times the pet’s owner declines this option because of the cost. In some cases, the pet’s owner may prefer to keep the animal overnight at the hospital instead of taking it home. A cat owner may not have the right cage to prevent movement after a surgery, for instance. 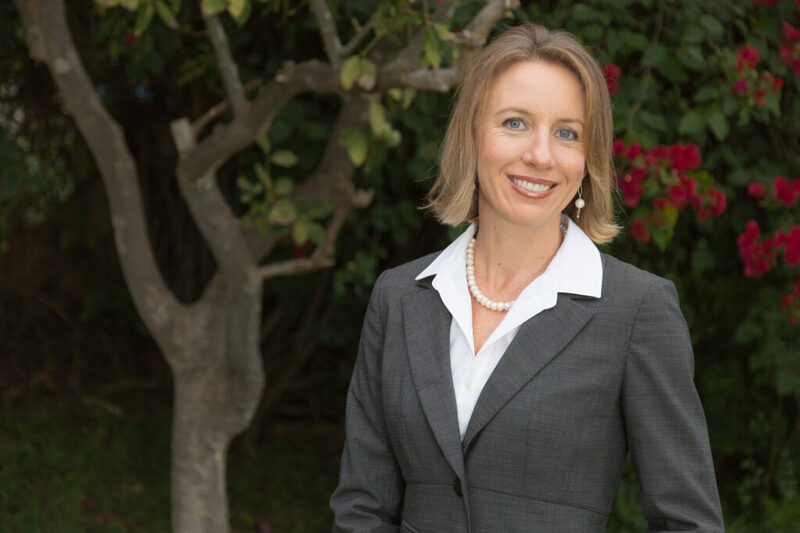 According to the applicant, there are eight other non-emergency hospitals in Encinitas and they all have a permit that enables them to keep unsupervised animals with medical problems overnight. Coast Animal Hospital’s permit was approved by the city’s Planning Commission but subsequently appealed to the City Council. The appellant states, among other things, that it’s inhumane to have animals overnight with no one on-site to attend to them and night sounds may disturb nearby neighbors. Proposed crosswalks and other improvements on Saxony Road and Quail Gardens Drive. Background: Crossing Saxony Road on foot, for instance to access the YMCA, is extremely dangerous. During my four years on the Traffic & Public Safety Commission, we heard complaints about the hazards of crossing the road, with a speeding car passing by every four seconds. One mother told us that because it’s so dangerous to walk, she straps her four children into their car seats to drive across Saxony to the YMCA. Based on earlier City Council direction, we are hearing a proposal to improve Saxony Road and Quail Gardens Drive. The almost $200,000 plan includes: a) one crosswalk across Saxony Road, between the Seacrest Village apartments and the YMCA; b) one crosswalk across Quail Gardens Drive between the Heritage Museum and the planned Encinitas Union School District community garden; and c) eight “Vehicle Speed Feedback Signs” that tell a driver his or her speed. The crosswalks are enhanced with flashing lights, warning signs, ADA-accessible ramps and lighting. I’m supportive of these critical road improvements in general. On the campaign trail, I frequently talked about the city needing traffic improvements, and it’s great to have a solid proposal during my first meeting. Despite this, I’m concerned that the suggested plan involves removing three Eucalyptus trees and four parking spots along Saxony Road, an area of our city that already suffers with parking problems. I’d prefer a proposal that maintained the tree canopy and restores the equivalent number of removed parking spots. At the Council meeting, I intend to inquire about an option that allows for that. Appointment to Commission Vacancies: Seven applicants applied for the open spot on the Traffic & Public Safety Commission and one applicant applied for the open spot on the Senior Commission. The City Council recently expanded the role of the Traffic & Public Safety Commission, giving it more authority to bring forward ideas and suggest improvements. The relatively large number of applicants indicates to me that the expanded role makes the Commission more desirable because it’s a place to make a real difference. That was certainly my experience! Please forward this email to anyone interested in periodic updates while I serve you, the residents of Encinitas. If you don’t want to follow Encinitas’ public policy, please unsubscribe below. No hard feelings! Thank you for your interest this far. In the next four years, I look forward to working collaboratively with all of my colleagues on the Council, fairly representing the public and effectively problem-solving with the city staff. I am dedicated to consensus-building, progress, responsible management of the public’s money and a commitment to our city’s legacy.